Things had been looking up for the Milwaukee Brewers offense of late, but you can’t win them all. 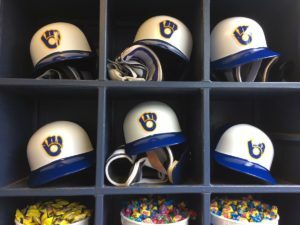 The Brewers managed just five hits in a 5-0 loss to the New York Mets in the opener of a four game series at Miller Park. It’s the 9th time this season that the Brewers were shutout, one more than all of last year. Zach Davies returned from the disabled list and allowed four runs in four innings to fall to 2-4. Ryan Braun also returned from the disabled list and went 1-for-4. The Brewers had their three-game winning streak come to an end. New York’s Steven Matz entered the game with a 1-3 record and a 4.42 earned run average. He worked six innings, allowed just four hits (all singles) with three walks and three strikeouts. Mets leadoff hitter Brandon Nimmo reached base five times, going 4-for-4 with a walk. Among his four hits was a double and a triple. Junior Guerra pitches game two of the series for the Brewers tonight against New York’s Noah Syndergaard.